This article is about the year 1809. For the Swedish/Finnish government project, see Year 1809. 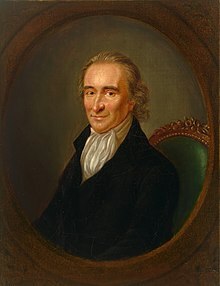 Wikimedia Commons has media related to 1809 . 1809 ( MDCCCIX ) was a common year starting on Sunday of the Gregorian calendar and a common year starting on Friday of the Julian calendar , the 1809th year of the Common Era (CE) and Anno Domini (AD) designations, the 809th year of the 2nd millennium , the 9th year of the 19th century , and the 10th and last year of the 1800s decade. As of the start of 1809, the Gregorian calendar was 12 days ahead of the Julian calendar, which remained in localized use until 1923. January 5 – The Treaty of the Dardanelles, between the United Kingdom of Great Britain and Ireland and the Ottoman Empire, is concluded. January 10 – Peninsular War – French Marshal Jean Lannes begins the Siege of Zaragoza. January 16 – Peninsular War – Battle of Corunna in Galicia (Spain): The British (under General Sir John Moore, who is killed) resist an attempt by the French (under Marshal Soult) to prevent them embarking. February 3 – The Illinois Territory is created. February 8 – Franz I of Austria declares war on France. 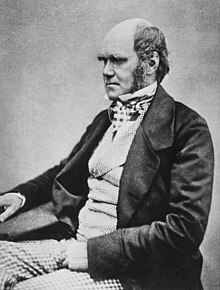 February 12 – Charles Darwin is born. February 17 – Miami University (Ohio) is established (by Act of February 2) on the township of land required to be set aside for it, under the conditions of the Miami Purchase in 1794. 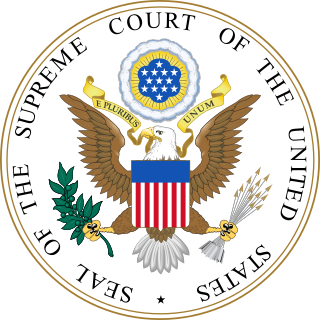 A decision by the Supreme Court of the United States states that the power of the federal government is greater than any individual state. The Siege of Zaragoza grinds to a halt as Jose Palafox surrenders. Over 60,000 have been killed on both sides, in 41 days of street fighting. The Second Siege of Zaragoza was the French capture of the Spanish city of Zaragoza during the Peninsular War. It was particularly noted for its brutality. February 25 – Battle of Valls: Spanish forces are defeated in Catalonia by Marshal Laurent de Gouvion Saint-Cyr. February 27 – Action of 27 February 1809: Captain Bernard Dubourdieu captures HMS Proserpine. March 1 – The Embargo Act of 1807 is repealed in the United States; the Nonintercourse Act replaces it. March 4 – James Madison is sworn in as the fourth President of the United States. March 13 – A military coup ousts Gustav IV Adolf of Sweden; he is confined in Gripsholm Castle. At the Diet of Porvoo, Finland's four Estates pledge allegiance to Alexander I of Russia, commencing the secession of the future Grand Principality of Finland from Sweden. The Emperor, in return, promises to retain and uphold former laws and privileges, as well as the dominant Lutheran religion. 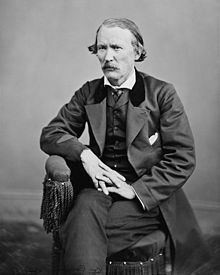 His pledge is later interpreted by the Finns as a confirmation of constitutional laws, which had, effectively, established Finland as a separate state in real union with the Russia. King Gustav IV Adolf of Sweden abdicates after the Coup of 1809 and is later exiled. First Battle of Porto: 18,000 Portuguese soldiers are drowned in a rout, after defeat by the French under Marshal Soult. Battle of Medellín at Extremadura: Massive Spanish casualties are suffered, in a rout by French cavalry, under Marshal Victor. In the First Battle of Porto the French under Marshal Soult defeated the Portuguese, under General Parreiras, outside the city of Porto during the Peninsular War. Soult followed up his success by storming the city. In the Peninsular War, the Battle of Medellín was fought on 28 March 1809 and resulted in a victory of the French under Marshal Victor against the Spanish under General Don Gregorio Garcia de la Cuesta. The battle marked the first major effort by the French to occupy Southern Spain, a feat mostly completed with the victory at the Battle of Ocana later in the year. The Diet of Porvoo, was the summoned legislative assembly to establish the Grand Principality of Finland in 1809 and the heir of the powers of the Swedish Riksdag of the Estates. 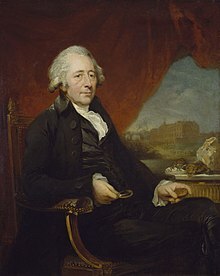 The session of the Diet lasted from March to July 1809. The Treaty of the Dardanelles was concluded between the Ottoman Empire and the United Kingdom of Great Britain and Ireland on 5 January 1809 at Çanak, Ottoman Empire. The treaty ended the Anglo-Turkish War. The Porte restored extensive British commercial and legal privileges in the empire. The United Kingdom promised to protect the integrity of the Ottoman Empire against the French threat, both with its own fleet and through weapons supplies to Constantinople. The treaty affirmed the principle that no warships of any power should enter the straits of the Dardanelles and the Bosporus. The treaty anticipated the London Straits Convention of 1841, by which the other major powers committed themselves to this same principle. April 9 – Tiroleans rise, under the command of Andreas Hofer, against French and Bavarian occupation. April 10 – Napoleonic Wars – The War of the Fifth Coalition begins when forces of the Austrian Empire invade Bavaria. April 11 – 15 – Napoleonic Wars – Battle of the Basque Roads: The British Royal Navy defeats the French fleet in the mouth of the Charente, although officers on both sides face subsequent courts-martial. April 14 – Battle of Abensberg, Bavaria: Napoleon defeats Austria. Battle of Raszyn: The armies of the Austrian Empire are defeated by the Duchy of Warsaw. Battle of Teugen-Hausen: The armies of the Austrian Empire are defeated by the French and their Bavarian allies. April 22 – Battle of Eckmühl: French troops under Napoleon I and Marshal Davout defeat the Austrians, under Archduke Charles. The Swiss canton of Aargau denies Jews citizenship. May 10 – Gustav IV Adolf is officially deposed from the Swedish throne, by the Riksdag of the Estates. May 10 – 11 – Peninsular War – Battle of Grijó: the Anglo-Portuguese Army, commanded by Sir Arthur Wellesley, defeats the French army, commanded by Marshal Soult, in Portugal. May 12 – Peninsular War – Second Battle of Porto: The Anglo-Portuguese Army, commanded by Wellesley, drives the French army, commanded by Marshal Soult, out of Porto, and forces them to retreat from the country. 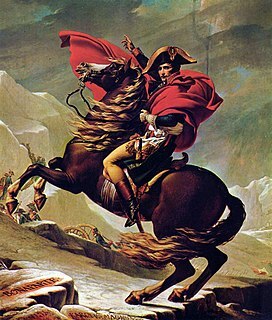 May 17 – Napoleon I of France orders the annexation of the Papal States to the French Empire. When he announces that the Pope's secular power has ended, the Pope excommunicates him. May 21 – Battle of Aspern-Essling: Austrian troops under Archduke Karl beat the French under Napoleon, in a hard-fought battle. May 31 – Mauritius campaign of 1809–11 – Action of 31 May 1809 in the Bay of Bengal: The French frigate Caroline, operating from Isle de France (Mauritius), captures most of a British East India Company fleet. 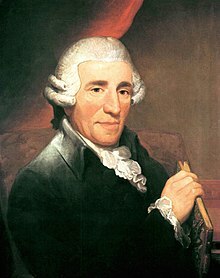 June 6 – Sweden promulgates a new Instrument of Government, which restores political power to the Riksdag of the Estates, after authoritarian rule since 1772. On the same day, Duke Charles (uncle of the deposed king Gustav IV Adolf) is elected King, under the name Charles XIII. June 7 – Shoja Shah of the Durrani Empire signs a treaty with the British; only weeks later, he is succeeded by Mahmud Shah. 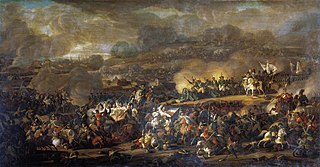 June 14 – A French victory, in the battle of Raab, prevents archduke John of Austria from bringing any significant force to the battle of Wagram. Andreas Hofer was a Tyrolean innkeeper and drover, who in 1809 became the leader of the Tyrolean Rebellion against the revolutionary Napoleonic invasion during the War of the Fifth Coalition. 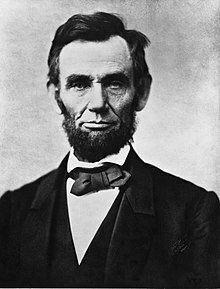 He was subsequently captured and executed. July 5 – 6 – Battle of Wagram: Napoleon defeats the Austrians. July 6 – French troops arrest Pope Pius VII, and take him to Liguria. July 8 – 9 – Finnish War – Naval Battle of Porkala: The Swedish archipelago fleet defeats the Russians. July 10 – Battle of Znaim: French Marshal Marmont fights inconclusively against the Austrians. July 16 – The city of La Paz (current Bolivia) declares its independence from the Spanish Crown and forms the Junta Tuitiva , the first independent government in Spanish America, led by Pedro Domingo Murillo. July 30 – Walcheren Campaign: A British invasion army lands on Walcheren. August – The USS Constitution ("Old Ironsides") is recommissioned as the flagship of the North Atlantic Squadron. August 8 – Seventy disciples of Vilna Gaon arrive in Palestine. August 10 – Ecuador declares independence from Spain. August 11 – Battle of Almonacid de Toledo: A poorly led Spanish army is defeated by King Joseph Bonaparte's French army. September 17 – Finnish War: The Peace of Hamina is signed between Russia and Sweden. The future Grand Principality of Finland is ceded to Russia by the Treaty of Fredrikshamn. September 18 – A new theatre for the Royal Opera House opens in London to replace the first, burnt down in a fire in 1808. The price increases lead to the Old Price Riots, which last for 64 days. October 8 – Prince Klemens von Metternich becomes foreign minister of the Austrian Empire. October 11 – Along the Natchez Trace in Tennessee, explorer Meriwether Lewis dies under mysterious circumstances, at an inn called Grinder's Stand. October 14 – The Treaty of Schönbrunn cedes the Illyrian Provinces to France. November 18 – Napoleonic Wars: Action of 18 November 1809 – In the Bay of Bengal, a French frigate squadron captures three East Indiamen mainly carrying recruits for the presidency armies. November 19 – Battle of Ocaña: A Spanish army is ridden down, and 4,000 are killed and wounded by French forces. November 25 – Benjamin Bathurst, a British diplomat, mysteriously disappears (possibly murdered) in Perleberg, west of Berlin. December 25 – Dr. Ephraim McDowell performs the first ovariotomy, removing a 22-pound tumor. December 26 – A British invasion force leaves Vlissingen. December 30 – Wearing masks at balls is forbidden in Boston, Massachusetts. William Combe begins publication of the verse Tour of Dr. Syntax in search of the Picturesque in Ackermann's Political Magazine (London), illustrated with cartoons by Thomas Rowlandson, depicting comic and ridiculous scenes involving a hapless country physician, and coming to represent British Regency humour. Louis Poinsot describes the two remaining Kepler–Poinsot polyhedra. Jean-Baptiste Lamarck publishes Philosophie Zoologique , outlining a (wrong) concept of evolution, by acquisition or loss of inherited characteristics, through use or disuse. British recruits to the British East India Company (and subsequently to the Indian Civil Service) are required to learn at least one Indian language fluently. 1813 (MDCCCXIII) was a common year starting on Friday of the Gregorian calendar and a common year starting on Wednesday of the Julian calendar, the 1813th year of the Common Era (CE) and Anno Domini (AD) designations, the 813th year of the 2nd millennium, the 13th year of the 19th century, and the 4th year of the 1810s decade. 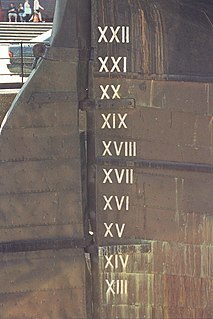 As of the start of 1813, the Gregorian calendar was 12 days ahead of the Julian calendar, which remained in localized use until 1923. 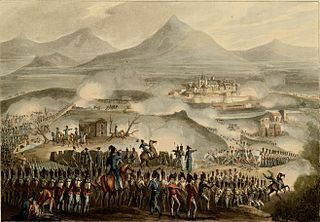 The Battle of Toulouse was one of the final battles of the Napoleonic Wars, four days after Napoleon's surrender of the French Empire to the nations of the Sixth Coalition. Having pushed the demoralised and disintegrating French Imperial armies out of Spain in a difficult campaign the previous autumn, the Allied British-Portuguese and Spanish army under the Marquess of Wellington pursued the war into southern France in the spring of 1814. General William Carr Beresford, 1st Viscount Beresford, 1st Marquis of Campo Maior, was an Anglo-Irish soldier and politician. A general in the British Army and a Marshal in the Portuguese Army, he fought alongside The Duke of Wellington in the Peninsular War and held the office of Master-General of the Ordnance in 1828 in Wellington's first ministry. Maximilien Sébastien Foy was a French military leader, statesman and writer. Don Pedro Caro y Sureda, 3rd Marquis of la Romana was a Spanish general of the Peninsular War. 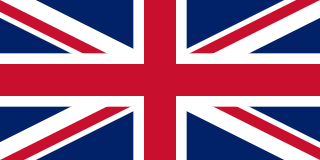 Events from the year 1809 in the United Kingdom. The IV Corps of the Grande Armée was a military unit during the Napoleonic Wars. It consisted several different units and commanders. The Division of the North was a 19th-century Spanish infantry division. The Battle of Puerto de Baños saw a Portuguese-Spanish column led by Robert Thomas Wilson attempt to defend a mountain pass against Marshal Michel Ney's VI Corps. After a nine-hour combat, Wilson's force broke up and scattered into the mountains. Baños de Montemayor is located about 45 kilometres (28 mi) northeast of Plasencia, Spain. The clash occurred during the Peninsular War, part of a larger struggle known as the Napoleonic Wars. The campaign in south-west France in late 1813 and early 1814 was the final campaign of the Peninsular War. An allied army of British, Portuguese and Spanish soldiers under the command of Arthur Wellesley, 1st Duke of Wellington fought a string of battles against French forces under the command of Marshal Jean de Dieu Soult, from the Iberian Peninsula across the Pyrenees and into south-west France ending with the capture of Toulouse and the besieging of Bayonne. 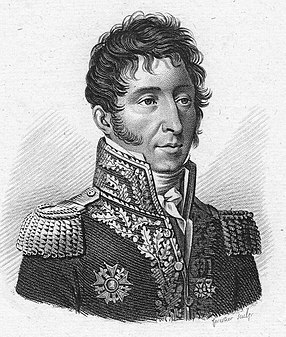 Étienne Pierre Sylvestre Ricard was a prominent French division commander during the 1814 Campaign in Northeast France. In 1791 he joined an infantry regiment and spent several years in Corsica. Transferred to the Army of Italy in 1799, he became an aide-de-camp to Louis-Gabriel Suchet. He fought at Pozzolo in 1800. He became aide-de-camp to Marshal Nicolas Soult in 1805 and was at Austerlitz and Jena where his actions earned a promotion to general of brigade. From 1808 he functioned as Soult's chief of staff during the Peninsular War, serving at Corunna, Braga, First and Second Porto. During this time he sent a letter to Soult's generals asking them if the marshal should assume royal powers in Northern Portugal. When he found out, Napoleon was furious and he sidelined Ricard for two years. 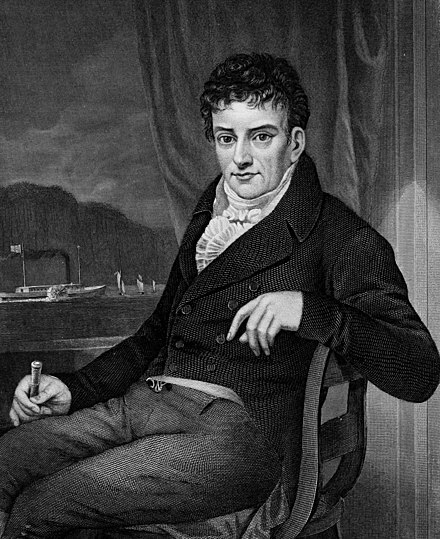 ↑ "Robert Fulton patented the steamboat in 1809". Thinkfinity. Verizon. Archived from the original on July 24, 2011. Retrieved April 15, 2011. ↑ "The Fulton Patents". Today in Science History. Retrieved 2011-04-15. 1 2 Palmer, Alan; Veronica (1992). The Chronology of British History. London: Century Ltd. pp. 243–244. ISBN 0-7126-5616-2. ↑ "Mary Kies - Patenting Pioneer". About.com. Retrieved 2007-05-14. ↑ "The Boyd incident - a frontier of chaos?". New Zealand History online. Ministry for Culture and Heritage. 2011-12-07. Retrieved 2012-03-03.